Lord Athina is an interesting story about Jim, who’s killed in an accident, gets his soul sent back in time and placed into a sixteen year old girl. How did you come about this original idea and how did that develop into a story? My story development path starts with a blank computer screen. I think up a situation and start writing. A lot of times I’ll write up to 5,000 words before a true idea comes to mind, if at all. If what I have written catches my attention I let my imagination run for while. By this time I’ve an idea concerning the main character. Who he or she is. In this case I wrote a bit about Jim and his hard luck life. It then came to mind what if he died and was reborn, which finally changed to being placed in the body of a girl. Most people have seen Freaky Friday, or a similar version. Once this came across as a possibility, I started looking into a starting point and began writing off the top of my head. That’s my style of writing. Off the cuff. Once I transferred Jim into Athina, the situations presented themselves. Jim finds himself in the body of a sixteen year old girl. How did you go about writing what it would be like to be stuck in a girls body? I’ve read many history books which gave me some insights into the daily lives of women back in olden times. I also asked my girlfriend and my editor of what I’d have to learn to take care of a girls body and what they go through to keep clean and healthy. I found that the magic used in the novel was efficiently used to great effect. How did you approach using magic in your story so that it’s believable? I’ve read a lot of fantasy stories and enjoyed them. A lot I noted used quite a bit of magic. As this is my first series, I wanted to keep magic at a minimum so I could pay more attention to the characters then what spell was used and how powerful can I make them. In addition, by limiting the spells, I didn’t have to come up with ways to try and counter the spells, their by making the effects believe able. My next book is Lady Athina. This is the second book in a 4 part series. 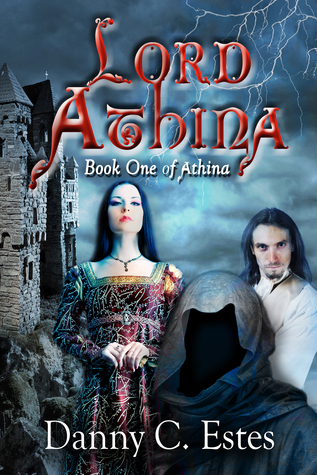 Lady Athina is currently on the market at Amazon.com. Jim Sanders is the first-born son of a city planning official in New York. Brought up in the midst of street gangs, construction, and the greed of politicians, Jim learns to keep physically fit and watch his back. Tired of the stress, he moves to Los Angeles to build his own construction company. But the hard knocks of life seek him out even here—Jim becomes the center of several vicious wrongful death lawsuits, caused by third-rate materials he never ordered. 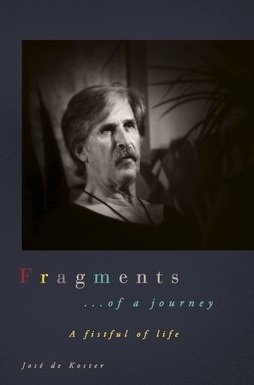 Hospitalized for a mental breakdown, and slapped with a divorce, Jim is exonerated only after he’s lost everything. Posted on February 12, 2017, in Interviews and tagged action, adventure, amazon, amazon books, author, author interview, book, book review, books, danny estes, ebook, ebooks, fantasy, fantasy book review, fiction, fighting, freaky friday, goodreads, historical fiction, history, interview, kindle, literature, lord athina, love, magic, medieval, mystery, novel, publishing, reading, review, reviews, romance, sci fi, science ficiton, science fiction, science fiction book review, Sorcery, stories, thriller, wizard, women, writing. Bookmark the permalink. Leave a comment.